Palate: Round, harmonious, with distinctive notes of delicious fruits and spices. The Martell Domaine Pierre de Bechillon-Boraud Cognac is a blend of three eaux-de-vie from the premier terroir of the region, Grande Champagne. 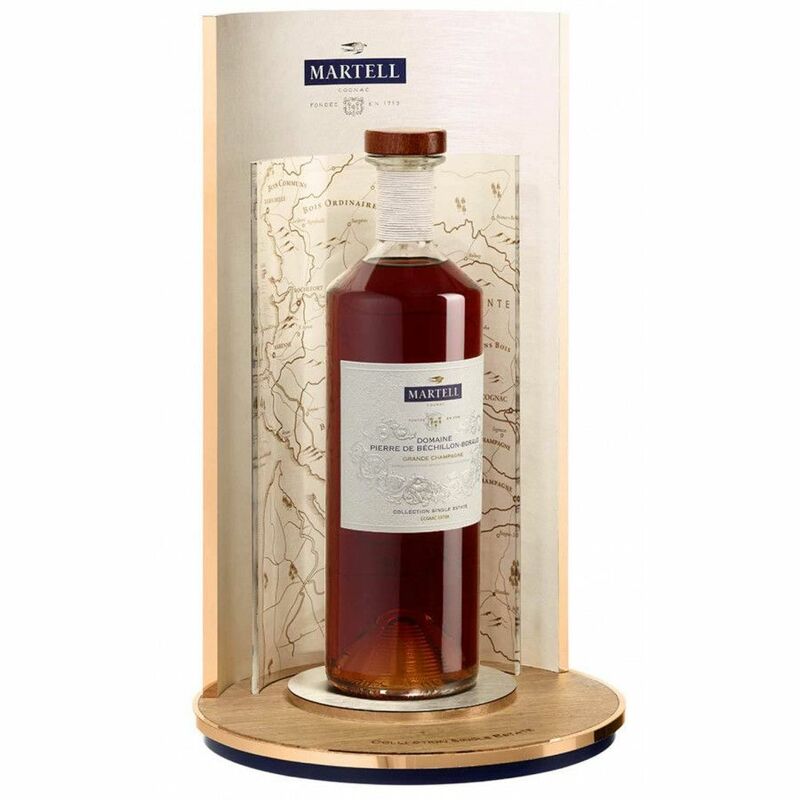 This is one of the first releases of Martell's Single Estate Collection, an initiative by the house to create high end, limited edition Cognacs that, thanks to a combination of estate and terroir, will truly appeal to the connoiseur. Only 3000 bottles of this round, harmonious Cognac are to be produced. Each bottle is individually numbered, and presented in a delightfully simplistic bottle, with wonderfully engraved labels. The bottle itself comes in a presentation box created from natural wood, yet another intentional simplistic factor to the presentation that leaves the Cognac within to do the talking. A distinctly fruity, spicy Cognac of true age and quality. Would make a wonderful present for anyone who enjoys the finer things in life. LOVE THE MARTEL COGNAC FINISH, NOT ENOUGH OOOO'S IN SMOOTH, THE BLENDING OF HUNDREDS DIFFERENT VINTAGES, IT IS JUST AS UNIQUE AS MARTEL ITSELF. I am totally in love with Martell's new edition: One of the greatest noses I've ever experienced, the palate is fantastic and typical Grande Champagne quality! The after taste is loooong and I like it. I also love the packaging, the blend prestend in a classic montre which communicates the brand's typical understatement.